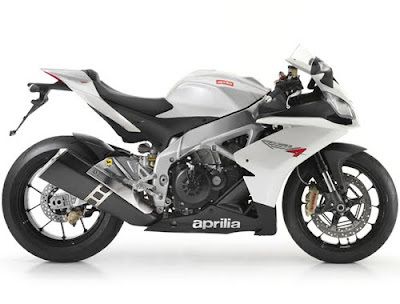 Aprilia RSV4 comes in two versions, the RSV4R which is the more affordable and base version, and the RSV4 Factory, which is the higher spec version. RSV4 Factory was released on 2009 with the price of $20,999 which is more or less cheaper by $700 with the Ducati 1198S model. A year after, RSV4R version was released, with the price of less than five grand, or $15,999 which is $500 cheaper than the Ducati 1198 Superbike model. Despite the cheaper price, RSV4 makes 10hp better than the rival comparable models. Both RSV4 models are equipped by the super compact 999.6 cc 65° V four cylinder engine that produces a c180 hp at 12,500 revolutions per minute and 85 lb-ft torque at 10,000 revolutions per minute. Their engine includes features like three selectable engine map system (road, sport and track), a gorgeous electronic injection system that has two injectors in each cylinder and 48mm throttle bodies. A 13:1 compression rate is delivered by its forged piston. The RSV4R model is very close to RSV4 factory model in terms of features and specification except for the suspension area. The RSV4R model is wrapped in a dual-spar aluminum frame and a weight of 405 lbs and features the Showa/Sachs suspension, aluminum components, plastic portions of bodywork and a non-adjustable chassis, wet sump lubrication system with oil radiator and 2 oil pumps, multi disc oil bath, 4 strokes, and liquid cooling system. On the other hand, the RSV4 factory model features Ohlin’s suspension, magnesium components and carbon fiber bodywork. It also lets you change the swing arm pivot point, engine position and head angle. It also has the variable height air intake trumpets that don’t fit with the RSV4R models. RSV4 were manufactured by Aprilia, an Italian motorcycle manufacturer and designed by Miguel Galuzzi. 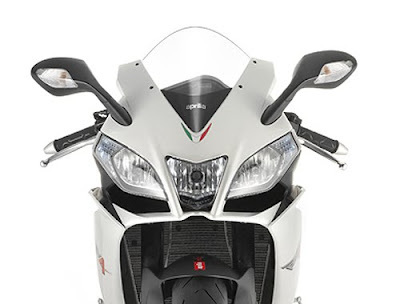 In spite of all the known rival brands and models of sports motor bicycle, Aprilia was never intimidated. In fact, they strive to produce something competitive and better than the famous brands. RSV4R and RSV4 factory are one of the most distinctive sounding motorbikes ever been made in motorcycle world. The impressive performance and engine configuration of both the RSV4 models made them powerful road going hyper sports motorcycle bike. 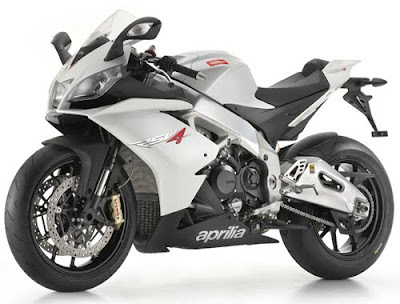 Today, since Aprilia succeed in producing high quality and powerful motorcycle bicycle with a lower price, there is no doubt that RSV4 models have greater chance of selling even when put against its fiercest opponent. The RSV4R is an absolutely stunning motorcycle. Even more amazing is its $15,999 price tag.The bike is loaded with DOHC technology with an electric digital ignition integrated in fuel management system.